Today introducing a package of textures conceived and designed to give a more modern look to our Minecraft. This pack was outdated for some time, but a user has rescued to upgrade to the new version and add some new element step. ModernCraft 1.5.1 offers a different view of Minecraft, accustomed to their textures look more focused on “rural”. It’s good to see other new proposals for the same game, although some will think it doesn’t fits the game style, but as much variety more to choose. The package ModernCraft is 16x, so do not need MC Patcher. 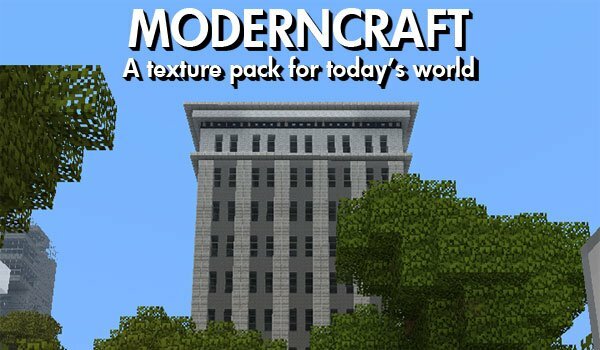 How to install ModernCraft Texture Pack for Minecraft 1.5.1? Paste the file: Downloaded zip in the texturepacks folder. We have modern texture for Minecraft! I dont know how to download it. If anyone could comment a reply on how to that would be good. Also, I was wondering if texture packs take up space on your computer.